The bare bones are that a Nepal government panel has recommended two unnamed mountains be called Hillary Peak and Tenzing Peak, after the first two men to climb Everest 60 years ago. The two summits, 7916m Tenzing and 7681m Hillary, have never been climbed, but they are to be included in a new batch of peaks for which climbing permits will be issued starting from next year. The motives behind this decision seem to be to generate extra tourist income and take climbers away from more popular peaks. Two peaks in western Nepal may be named after the Frenchmen Maurice Herzog and Louis Lachenal, who were the first men to climb an 8000m peak when they summited Annapurna in 1950. The story was reported widely in the western media using nearly identical text that had clearly been cut-and-pasted from somewhere. An example is this piece in the Guardian. 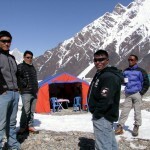 As in the case of the new Everest Base Camp police force that is apparently going to be set up (which you may remember from a previous post) the story was reported widely in the western media and includes quotes from both the Nepal Ministry of Culture and Tourism and a former president of the Nepal Mountaineering Association, but neither organisation have made any formal announcement. There is no mention of which mountains they are, although very precise measurements have been given of their heights. If true then the decision to name the mountains after famous people is likely to be controversial, as it flies in the face of decades of Himalayan naming convention. This last point may seem trivial, but it is quite significant. Since 1865 the world’s highest mountain has been named after the sixth Surveyor-General of India, the Welshman Sir George Everest. Although he was instrumental in extending the Great Trigonometrical Survey across India, which mapped much of the Indian subcontinent and assigned heights to most peaks in the Himalayas for the very first time, he was reportedly annoyed about having his own name applied to the highest one by his successor Sir Andrew Waugh. Himalayan peaks were initially given numbers when they were first discovered by the Survey (Everest was known as Peak XV), but Sir George had a policy of trying to find out the local names wherever possible. The height of Everest was first calculated in 1852 by an Indian working for the Survey called Radhanath Sikhdar from observations made by another surveyor James Nicolson three years earlier. The story goes that Sikhdar rushed into the office of Waugh clutching a piece of paper with his calculations scribbled on it crying “Sir, I have discovered the highest mountain in the world.” It’s a nice little anecdote, but it’s probably as factual as the old story that quiz show host Bob Holness played the saxophone solo on Baker Street. When announcing the discovery of Everest in 1865 Waugh claimed that all efforts to find a local name for the mountain had been fruitless, but there’s plenty of evidence the Tibetan and Sherpa name Chomolungma was easily identifiable, not least from a map French monks who established a mission in Lhasa produced in 1733 with the name Tschoumou-Lancma on it. Tenzing grew up knowing the mountain as Chomolungma at a time before western explorers had reached his native Khumbu region of Nepal. To him it was known as The Mountain So High No Bird Can Fly Over It rather than its more common translation Goddess Mother of the Earth. The name Sagarmatha, which means Brow of the Sky in Sanskrit, appears to have been invented by the Nepalese some time in the 20th century in an attempt to exercise sovereignty. The controversy with local and western names isn’t confined to Everest. As they mapped further west the Survey of India assigned Karakoram peaks the prefix K until they could establish the local names. They never did find one for the second peak and its survey designation K2 stuck despite a short-lived attempt to name it after another surveyor, Henry Godwin-Austen, in the 19th century (a glacier at its base still bears his name). Some people believe K2 has the local name Chogori, but this is simply the Balti for high mountain, and there’s no evidence the local people explicitly use it for K2. It’s the sort of reply an explorer would have received if he’d pointed at any number of peaks in the Karakoram and asked his porter what they were looking at. If you point at the telly during an episode of The X Factor and ask your grandmother what she’s watching, and she replies “some talentless wannabe making a fool of themself”, that doesn’t mean it’s the name of the show. By contrast the highest mountain in North America is known to everyone in Alaska and most mountaineers by its native Athabascan name Denali. This translates as The High One, and appears extensively in local folklore about the peak. To most of the rest of the world it is still known as Mount McKinley, after an explorer gave it the name of a candidate for the governorship of Ohio for purely political reasons. William McKinley later became the 25th President of the United States, but he never went anywhere near the mountain. As you can see, by naming two peaks after mountaineers, the Nepalese would be breaking with a tradition that has been sensitive to local cultures. By convention the mountains should be given their local names – but do such names exist? This brings me onto the next arguably more interesting question. We don’t have much to go on, but luckily nearly all the reports gave the precise heights of both mountains in metres – 7916m and 7681m. This helps to narrow it down. After all, there really aren’t many mountains that high in the world. Wikipedia has a list of the 100 highest. Tenzing Peak should be in there at no.18 while Hillary Peak should be no.35, but as you can see there are no mountains of either altitude on the list. Why is this? Well, it may seem facile to say this, but mountains are crinkly objects that go up and down in many places. Most mountains have satellite peaks that are not prominent enough to be regarded as separate mountains in their own right. Could Tenzing and Hillary Peaks be subsidiary summits of bigger mountains? Luckily the Explore Himalaya website has a more extensive list of the 328 highest mountains in Nepal, including satellite peaks, and as you can see on this list there are two mountains that precisely match the heights quoted (nos. 22 and 41). Furthermore, both peaks appear to be unnamed, and even better, their precise latitudes and longitudes are shown. It’s therefore a simple matter to establish their location using Google Maps. I’ve done precisely this, as you will see below. Tenzing Peak lies on the Nepal/Tibet border on the high altitude ridge between Cho Oyu and Gyachung Kang. I have been able to identify the peak on my 1:50,000 Nepa Maps map of Cho Oyu. I have dug out a photo of the North Face of Cho Oyu which I took from the Tibetan village of Tingri last year, and I believe Tenzing Peak to be the left-hand summit in this photo. It is therefore a satellite summit of Cho Oyu, but its best line of approach may well be along the Gyachung Glacier from the Rongbuk side near Everest. The North Face of Cho Oyu (8201m) from Tingri in Tibet. 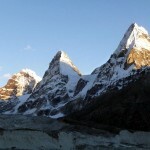 Tenzing Peak (7916m) is likely to be the one on the left. Hillary Peak is a rather less distinct summit on the Nuptse Ridge between Nuptse and Lhotse in Nepal. Again I believe I can identify it on a paper map I have. The Nepal Map Publisher 1:40,000 map of Island Peak marks a point at 7686m in precisely the right location. This time I have dug out a photo of the South Face of Lhotse taken from Imja Tsho at the foot of Island Peak in the Khumbu region of Nepal. Lhotse’s main summit is the highest point in the photo, and Hillary Peak is likely to be the high crag on the far left of the shot. It’s easiest route of ascent is almost certainly going to be from the opposite side in the Western Cwm. This is because the Western Cwm is about 1000m higher than where this picture was taken from, and in the spring season will have a network of camps and support in place for teams climbing Everest. The South Face of Lhotse from the base of Island Peak. Hillary Peak is likely to be the high point in the far left of the photo. Exciting stuff! I seem to have talked myself into believing these media reports, after all. 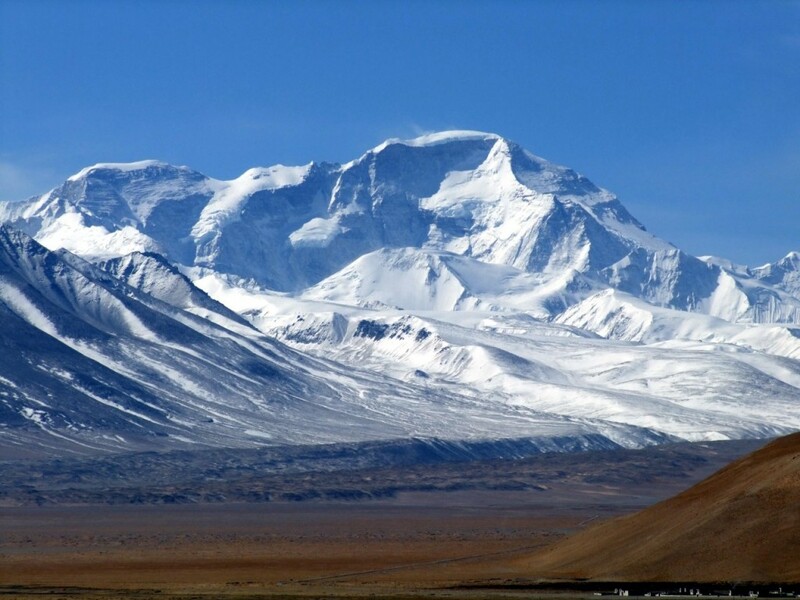 Due to their lack of prominence, and (at least in the case of Tenzing Peak) remoteness from local communities, it is very likely neither of these peaks have local names. After all, it’s only mountaineers, surveyors and explorers who bother to give names to indistinct bits of land. 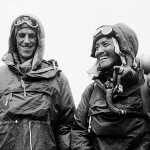 If Nepalese mountains are going to be named after individuals, then there can be no more fitting men than Tenzing Norgay, the greatest of all Sherpas and the man who did more than anyone to elevate the Nepalese from porters to climbers and ensure Chomolungma was climbed, and Edmund Hillary, the man who repaid the Khumbu region for bringing him fame and fortune by building dozens of schools and hospitals there with his Himalayan Trust charity. Perhaps, though, the government should have found two peaks adjacent to one another to commemorate their great partnership. There’s no question Tenzing Peak should be the higher one. I’m pleased the Nepalese government is opening up new mountains to climb and if this story is true then I’m sure it won’t be long before both these peaks are climbed. It wouldn’t surprise me at all if they are climbed next year. Look – Tenzing Peak even has a Wikipedia page, already! 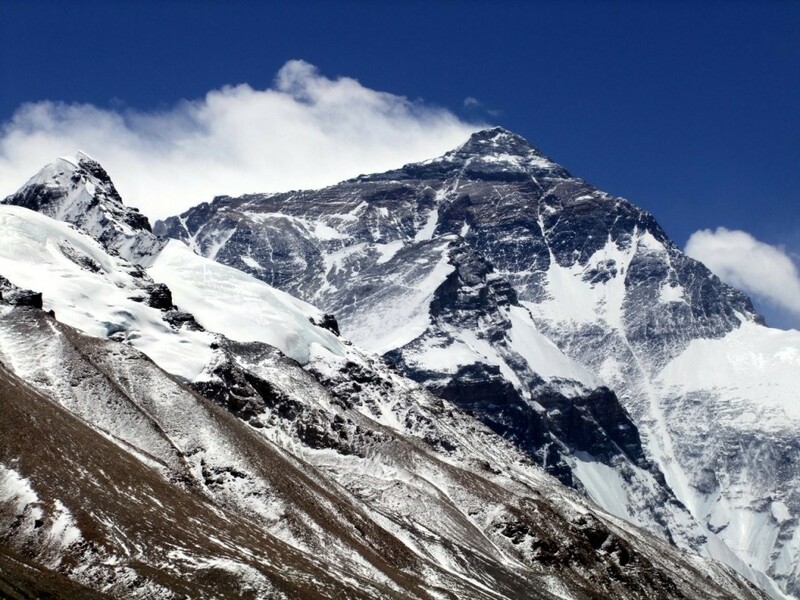 Surprising as this apparent decision by the government of Nepal may be, it would be even more significant were it to be the fuel to kickstart a campaign to give Everest back its original name, Chomolungma. If it is, I’m in. This means that while I was correct about Tenzing Peak, Hillary Peak turned out to be another peak on the same ridge as Tenzing Peak. 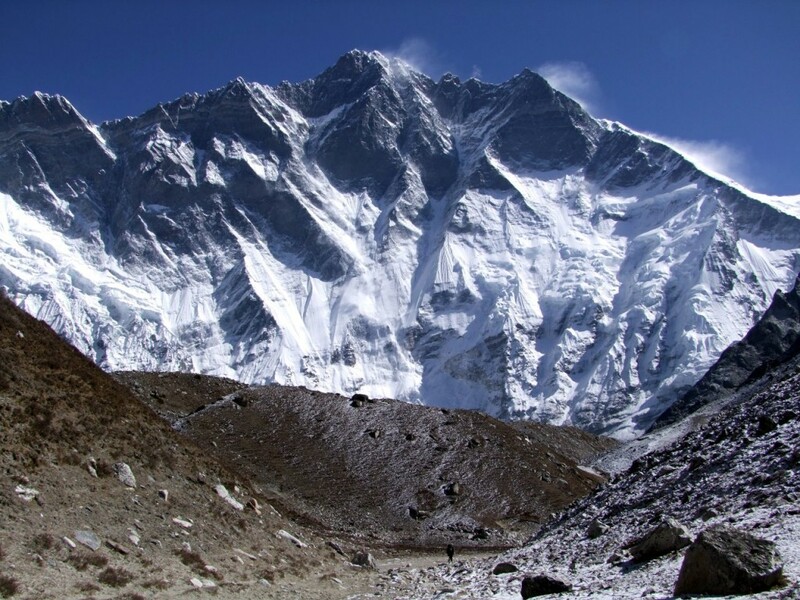 Tenzing Peak, it turned out, was also known as Ngozumpa Kang, and was first climbed by a Japanese party in 1965. Thanks to Varrun and Edouard for pointing this out in the comments below. really nice , full of information. Hi Mark. How timely as I’ve been reading Stephen Venables’ Everest: Summit of Achievement (a crying shame it was found in the bookstore’s bargain bin, but great for me). He treats the naming of Everest very scholarly as well, and I came away with the obvious point that locals were not interested in naming individual peaks but rather gave homage and titles to the entire massif. It was only through Western eyes that each bump and crag along the skyline became a target of conquest. If I may digress from your subject slightly, the book’s very interesting Foreward by Sir Edmund Hillary caught my attention. He and Norgay maintained a pact not to credit either as the first to summit Everest in 1953 and AFAIK they were pretty consistent in that. However, here Hillary describes their approach to the summit: “I dropped down onto the ridge and cut a continuous line of steps. Halfway along I met what I estimated to be a 40-foot high rock wall. I wriggled to the top and Tenzing joined me. I continued hacking steps along the ridge, then up a few more to the right…to my great delight I realized we were on the top of Mount Everest and that the whole world spread out below us.” Clearly he’s stating that he was in the lead! Hillary’s Foreward is followed by a Message From the Dalai Lama, wherein he describes a Buddhist monk named Milarepa who lived in meditation at the foot of Everest and was revered by Tibetans for conquering the mind rather than the summit. Tenzing later set the record straight about the first ascent in his autobiography Tiger of the Snows where he devotes about a page and a half to the question of which of them got there first. Although it boils down to two short sentences (“Hillary stepped on top first. And I stepped up after him”) he spends a lot of time explaining why he eventually needed to answer the question and disappoint his supporters despite it being meaningless to mountaineers who know two people on the same rope are together. I’ve not read Stephen Venables’ book. Thanks for the tip – I must try and get hold of a copy. And thank-you for reminding me of Norgay/Ullman’s book as well! 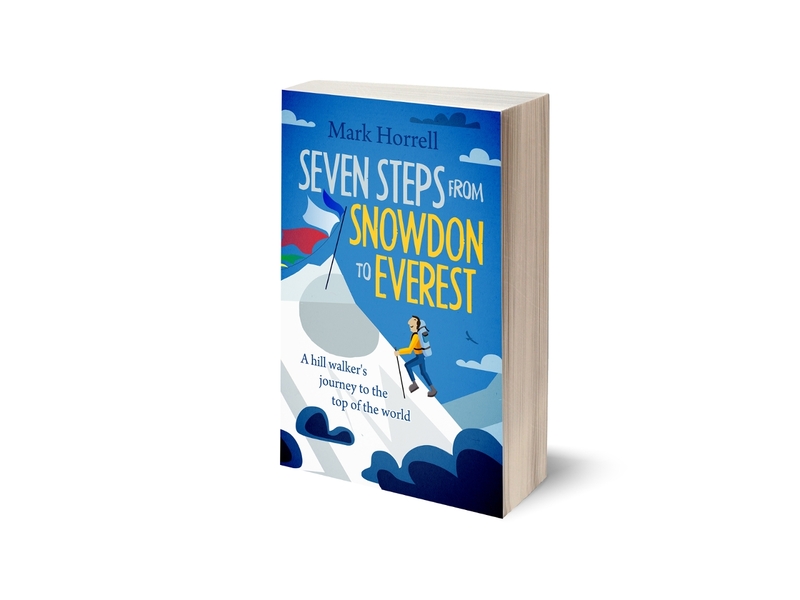 Still have yet to read it but must get a copy first 🙂 I forced myself to read Earl Denman’s book Alone to Everest, but it wasn’t really worth it. Wonderful write up! Never knew about these peaks till I read your post in 2015. There is an expedition going on currently for the first attempt on Tenzing and Hillary peaks by Elia Saikaly and PK. I was however surprised to see that their co-ordinates and description of Hillary peak was totally different. It was on the same ridge between Cho Oyu and Gyachung Kang, to the east of Tenzing Pk. Was this a recent change? 🙂 I see all over Google that it matches with what you said. Tenzing Peak is Ngojumba Kang 7916 m !!! 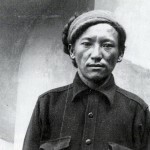 The first ascent of Ngojumba Kang was in the year 1965 – Korean Expedition from the south side. There were a few more ascents of this mountain – Americans and Russians, during the attempt and first ascent of the east ridge of Cho Oyu. You can find expedition reports about Ngojumba Kang in the American Alpine Journal, other climbing journals and also in the Internet. Ngojumba Kang is well documented – to give this peak now a new name (Tenzing Peak) and an unclimbed status, is, more or less, a bad joke from the Nepalese Government. The “same story” takes effect also for some other of this “new and unclimbed peaks” on the latest permit list from the Nepalese Government – not very difficult to research for interested readers about chronicle expedition reports. In the year 2015 the Post of Nepal issued two postage stamp, showing Hillary and Tenzing Peak. Hillary Peak: 28°06’24″N,86°42’58″E and Tenzing Peak: 28°06’21″N,86°41’13″E. According Nepal Post, Hillary Peak is what is also known as Ngozumpa Kang III (7’681 m). you can contact me by email and i will sent you scan of the Nepalese postage stamps.